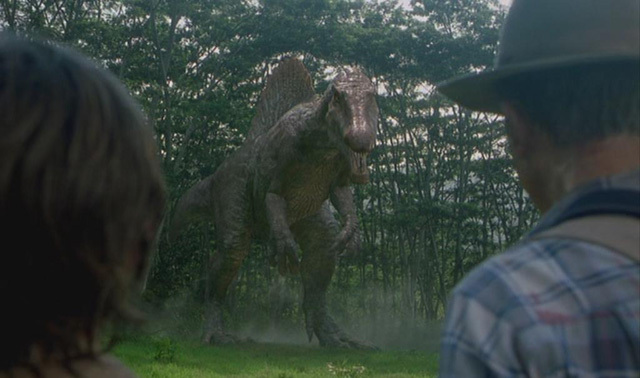 10 Things You Might Not Know About JURASSIC PARK III | Warped Factor - Words in the Key of Geek. 1. Joe Johnston had originally been lined up to direct The Lost World: Jurassic Park, but after scheduling problems with Jumanji he sadly had to withdraw from the project. At the time Steven Spielberg assured him that if there was ever a third film Johnston could direct it. True to his word Spielberg waited until Johnston's commitments to October Sky were complete before ramping up production for Jurassic Park III. 2. After the movie was announced in June 1998, Spielberg was said to be working with Michael Crichton to create the storyline and write the script. Crichton withdrew from the project within a few days after failing to come up with any satisfactory ideas. 3. The first script for what would become Jurassic Park III was presented by Craig Rosenberg in June 1999, it focused on a group of teenagers who get themselves marooned on Isla Sorna. After Johnston was officially announced as director in August 1999, he was very much against this script and so new writers were bought in to start afresh. 4. 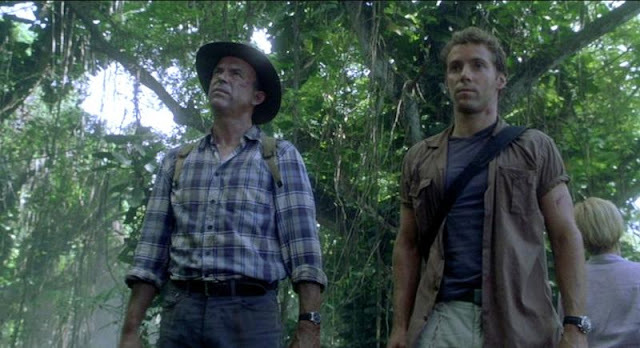 The new take on Jurassic Park III featured a story involving Pteranodon escaping from Site B and causing a spate of mysterious killings on the mainland, which was to be investigated by Alan Grant and a number of other characters including Billy Brennan, a naturalist named Simone, a tough military attaché, wealthy Paul Roby, and Roby's teenage son Miles. Grant's group crash-lands on the island, while a parallel investigation is being carried out on the mainland. The aviary sequence and laboratory set piece were initially much longer and more complex, including Velociraptor stealthily entering the hatchery as the team spends the night there. Sets, costumes, and props were built for this version, and a total of $18 million was spent until, just 5 weeks prior to shooting, both Johnston and Spielberg decided they were dissatisfied with this idea. "We shot pages that eventually went into the final script but we didn't have a document." 6. At this time there were two different working titles for Jurassic Park III, Jurassic Park: Extinction and Jurassic Park: Breakout. 7. It was long rumoured that Jeff Goldblum's character, Ian Malcolm, was included in the finished script but after a few days of filming he injured his leg and had to pull out. However, some years later Goldblum revealed that he was never asked to be in the movie, "nobody called" he said. 8. The script originally featured Billy Brennan's death, but Joe Johnston decided late in the day to bring the character back to life in an attempt to remove all tragic elements from the ending in order for the film to finish on a higher note. 9. Although principal photography wrapped at the end of October, production returned to Hawaii in January 2001 to shoot the movie's ending... because it hadn't been written until then! 10. The final shot where Dr. Alan Grant looks out of the plane's window and sees a group of Pterodons flying beside them was the original ending for the first Jurassic Park. 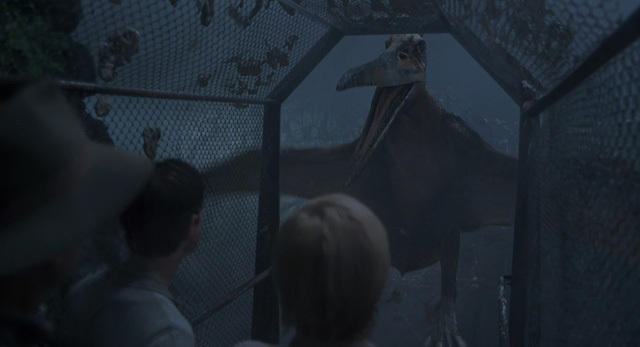 In the 1993 movie it was changed late into post-production to a flock of pelicans, flying beside the helicopter, but the FX for the Pterodons had already been produced and so was used here.